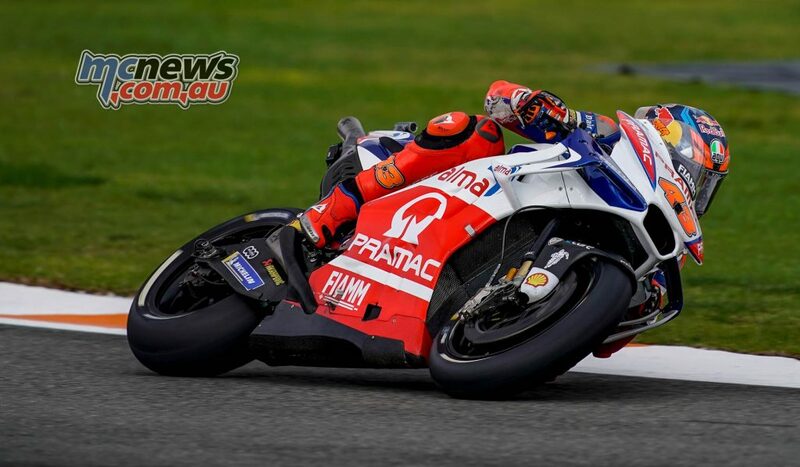 It was seven-time Champion Marquez who led the field onto the first flying lap but then at Turn 4, the 2018 Champion suddenly lost the front and went down. 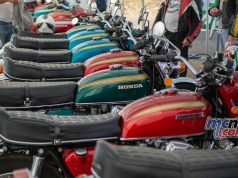 The pain and anguish was writ large on the Spaniard as he clutched his limp left arm, his shoulder dislocated yet again, but this time looked more painful than ever as he returned to his motorhome. 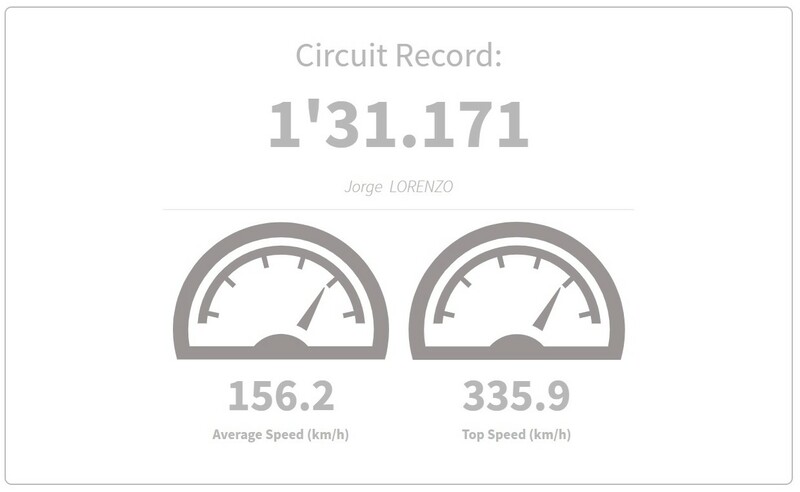 But minutes later Marquez was back on track, and back on the pace… What a machine. 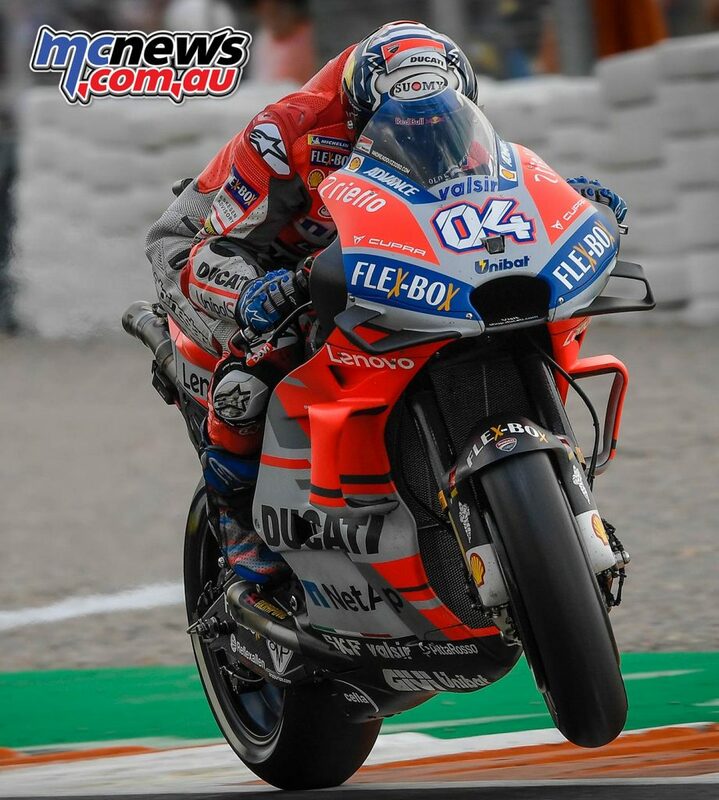 In the absence of Marquez, it had been Dovizioso was setting the pace, but then Danilo Petrucci (Alma Pramac Racing) got the better of his compatriot to set the first 1:31 of the session before blitzing the field again on his next lap – a 1:31.531 becoming the time to beat. 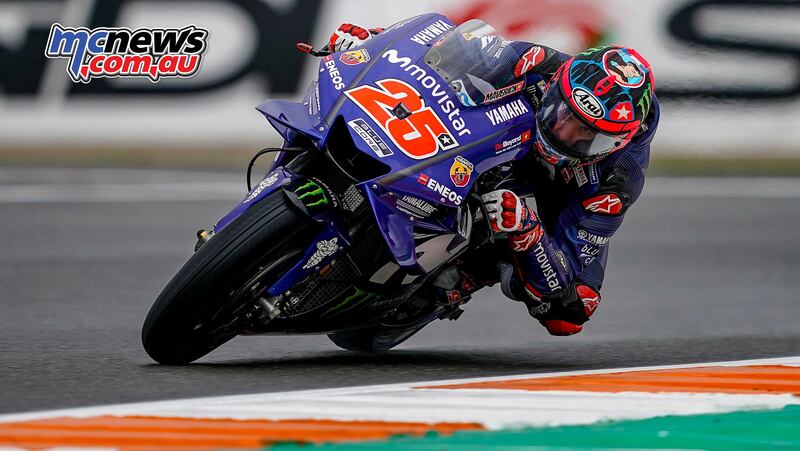 Red sectors were lighting up the screens in the final minutes of the session though and it was Viñales who went quicker again to make 0.068 his margin at the top, with the miraculous Marquez climbing back up to P3. 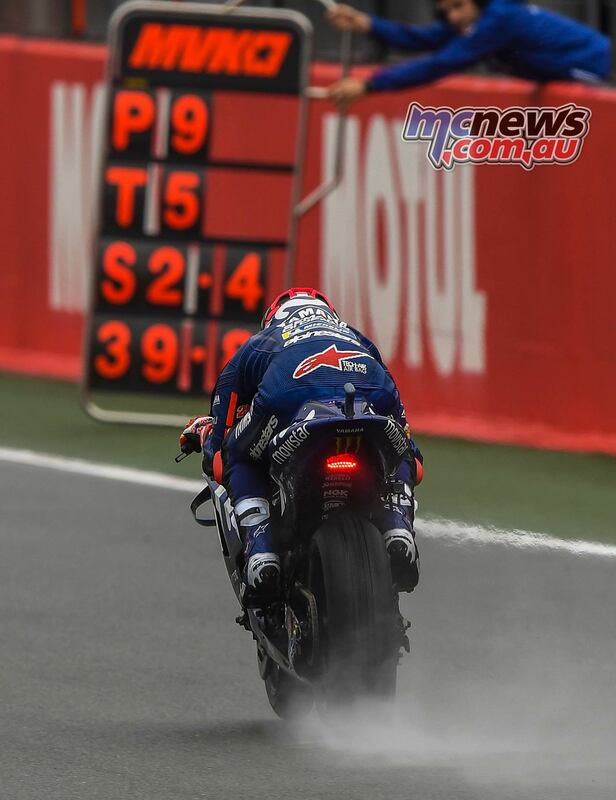 The World Champion was going for it again to take pole but then another moment at turn one put an end to his chances. 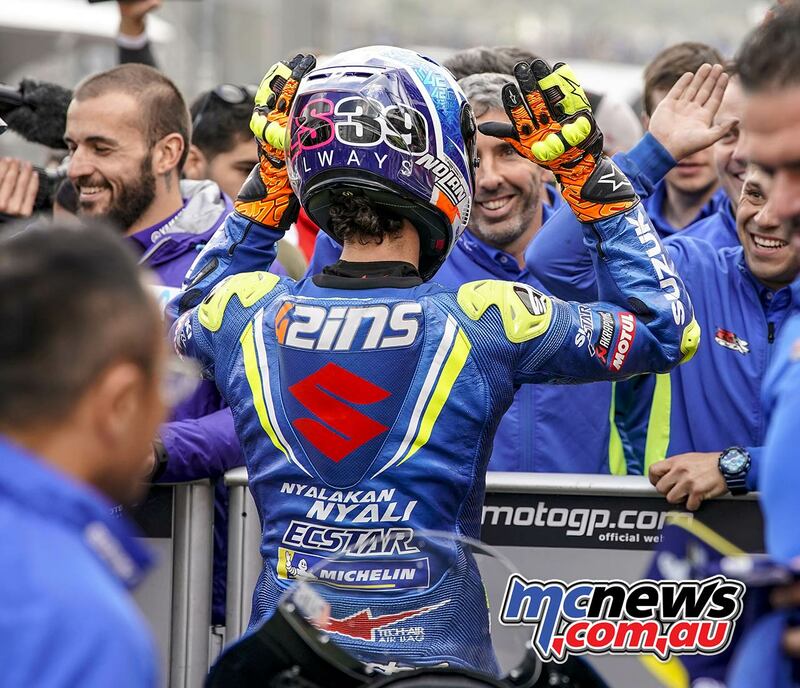 But there was still time for change elsewhere as Rins was then threatening to take pole on his final lap. In the end, however, a breathless qualifying ended with Viñales spearheading the grid after his first pole on a Saturday since Aragon last year, with his Americas GP pole this season resulting from a Marquez penalty. Rins and ‘DesmoDovi’ complete the front row, and Petrucci is top Independent Team rider in fourth, gunning for that title on Sunday too. “I am very satisfied because we did well in both wet and dry conditions. Honestly there is a bit of disappointment because I could have won the front row but that’s okay. 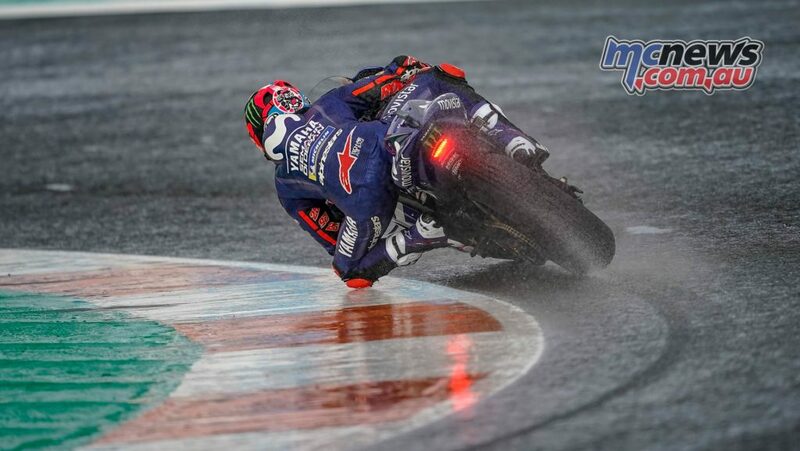 We are competitive but it is clear that in rain I will feel better this week end”. 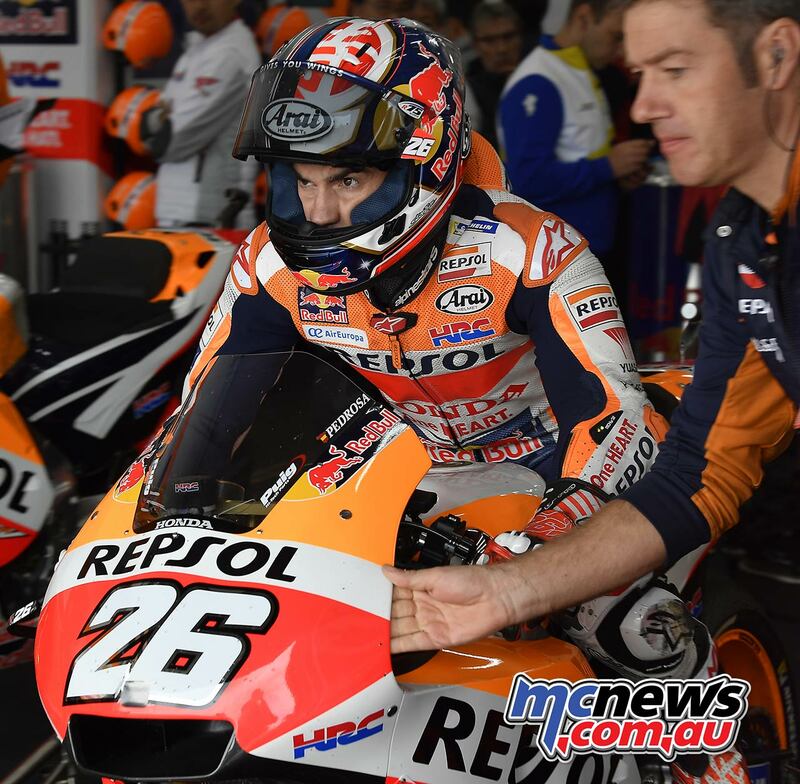 Marquez’ miracle top-five performance sees him remain well in the mix. 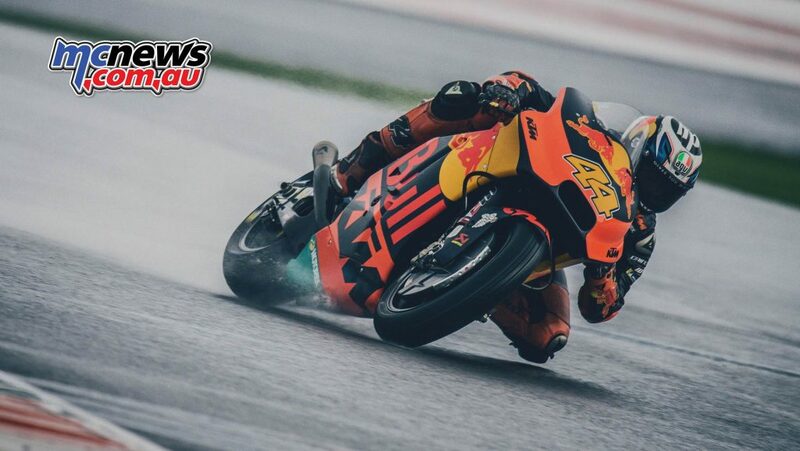 Just behind the reigning Champion, sixth made it a great day for Pol Espargaro (Red Bull KTM Factory Racing) with the Spaniard just 0.265 from pole in KTM’s equal best qualifying performance. 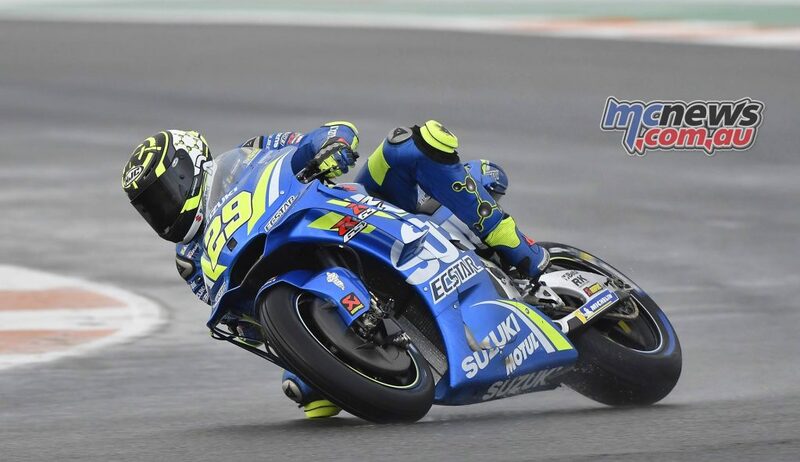 Pol Espargaro just ahead of Q1 graduate Andrea Iannone (Team Suzuki Ecstar) in P7, with Aleix Espargaro’s (Aprilia Racing Team Gresini) P8 the final piece in the puzzle that saw all six manufacturers inside the top eight, split by just 0.318. 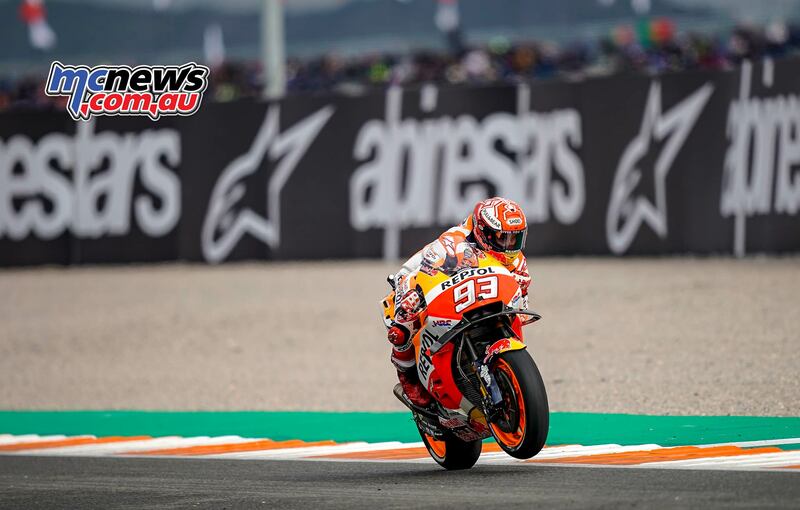 In his final ever qualifying, Dani Pedrosa (Repsol Honda Team) claimed P9 to start from the outside of the third row after some difficulties in FP4 that affected his QP, with Jack Miller (Alma Pramac Racing) suffering his fourth crash of the weekend to start P10 but automatically through to Q2 once again. “I’m disappointed. I was convinced that I could qualify well and I pushed hard but I crashed. I have to find a better feeling with the front tyre but the race pace is very interesting. I am confident that I can have a good race tomorrow”. 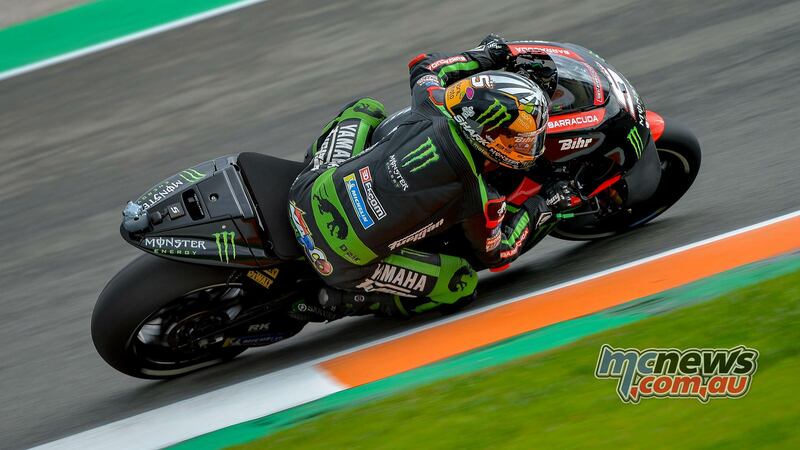 While on a lap that was 0.3 under, Johann Zarco (Monster Yamaha Tech 3) also crashed at Turn 10 to start P11 – rider ok, with Michele Pirro (Ducati Team) settling for P12 after making it straight into Q2 from Free Practice. Jorge Lorenzo narrowly missed out on going through to Q2. 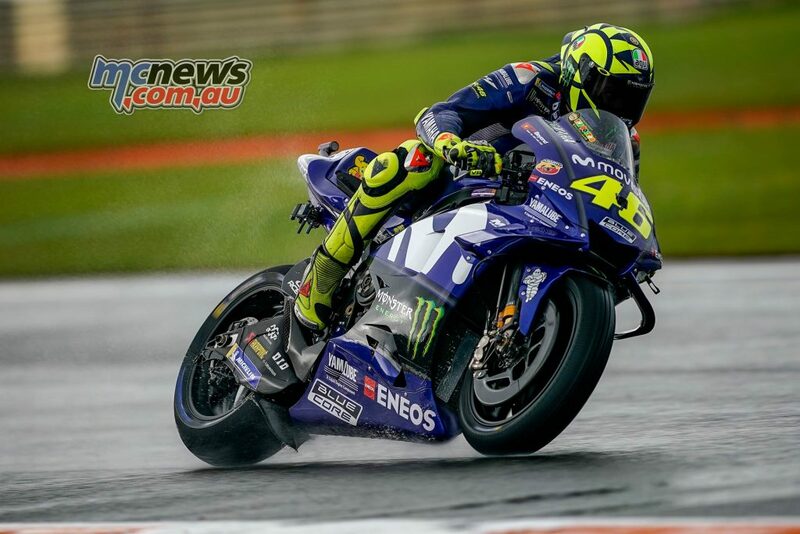 Another star failing to make it through Q1 was Valentino Rossi, The Doctor starts P16 after a tough day at the office. 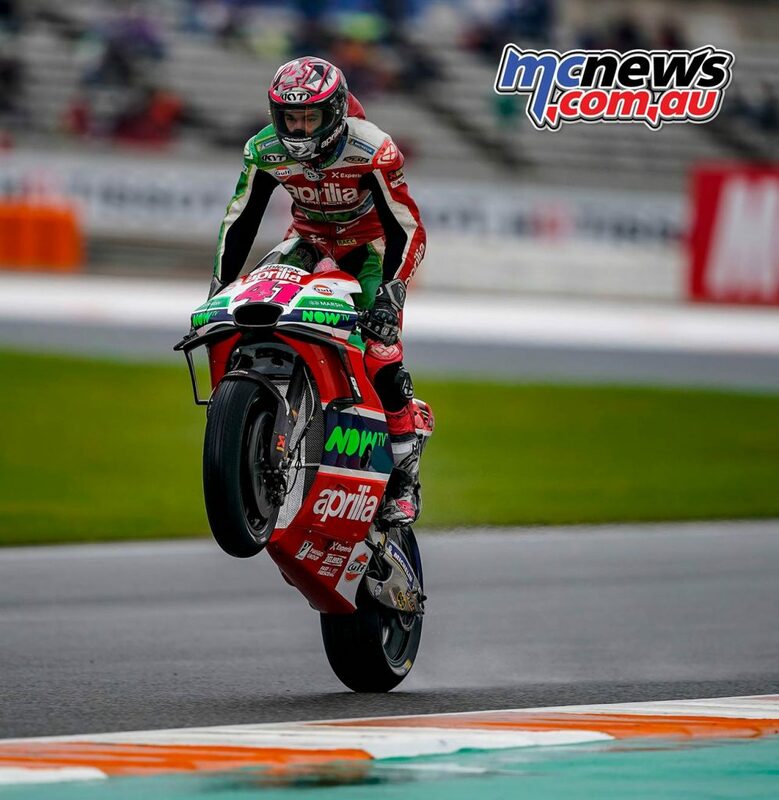 The clouds loomed for Moto2 qualifying but it stayed dry and as the clock ticked towards the 10-minute remaining mark, it was Marini who led the way. Schrötter then took over at the top to better the Italian by 0.080 but he wasn’t going down without a fight. Straight away the Malaysian GP race winner leapfrogged the German to head the field again – 0.007 the gap. Then, the Italian went quicker once more to move the goal posts further, with 0.201 his advantage over the field. 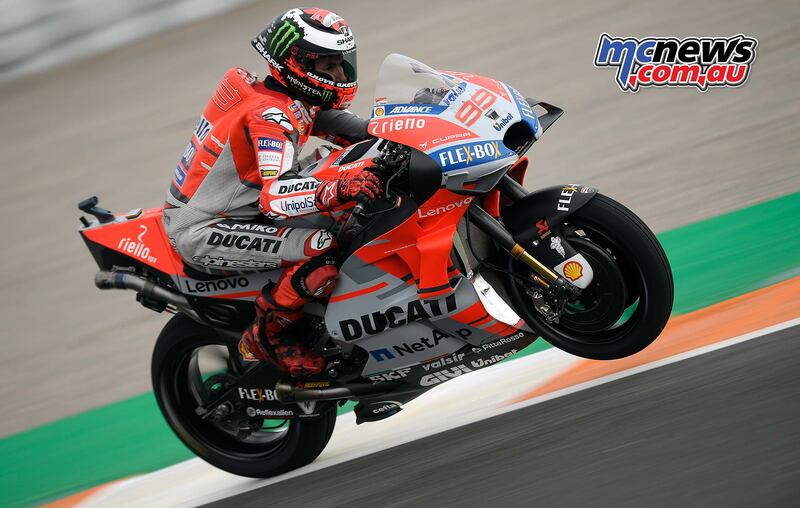 2018 World Champion Francesco Bagnaia (Sky Racing Team VR46) managed to launch himself up to P4 at the chequered flag as he prepares to go into battle for the final time in the intermediate class on Sunday and compatriot Lorenzo Baldassarri (Pons HP40) also managed to improve on his last lap to go from P7 to P5. 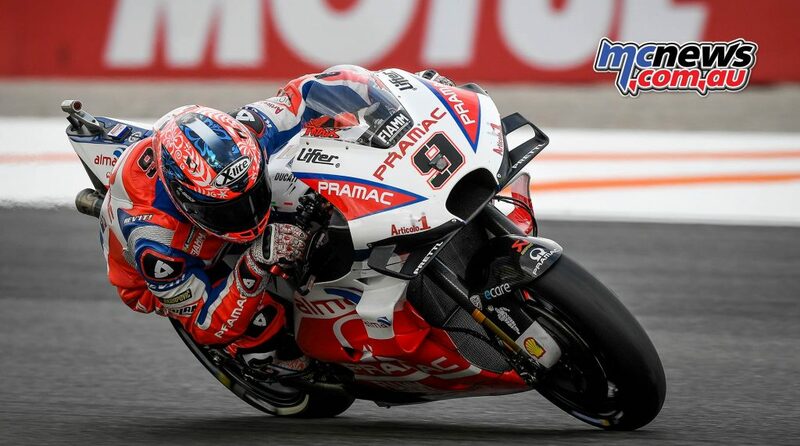 He now starts one place ahead of Sam Lowes (Swiss Innovative Investors) in P6 after Lowes’ best qualifying result since the German GP. But just 0.001 behind the British rider was Joan Mir (EG 0,0 Marc VDS) in seventh, who in turn was just 0.044 ahead of countryman Augusto Fernandez (Pons HP40) – another top result with P8 for the Spaniard getting him into the top ten in the latter stages. 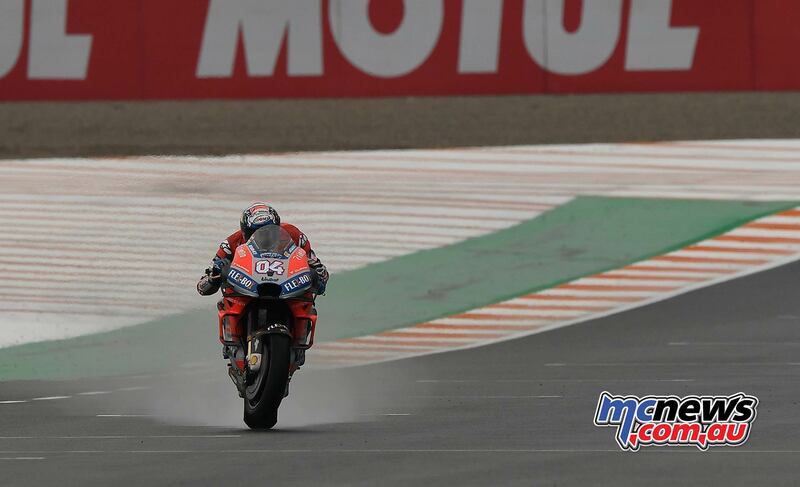 Fabio Quartararo (HDR Heidrun – Speed Up) was ninth, with the two Red Bull KTM Ajo machines next up – P10 for Miguel Oliveira, P11 for Brad Binder. It was a hectic start to the Moto3 qualifying session as several riders went down in the opening exchanges on a drying Circuit Ricardo Tormo. Marco Bezzecchi (Redox PreustelGP) was the man to lead the opening exchanges, but he crashed his KTM machine at Turn 8. 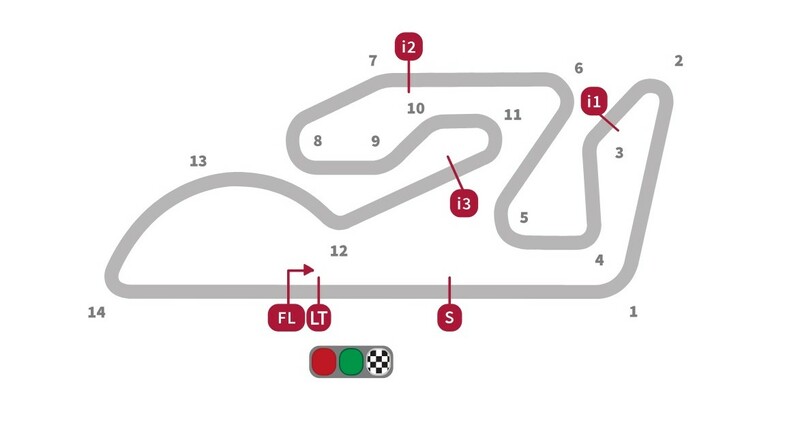 2018 Red Bull MotoGP Rookies Cup Champion Can Öncü (Red Bull KTM Ajo) then took over at the summit, but he also went down at Turn 8 – the Turkish rider able get straight back on track but the Italian having to get his bike fixed. The sensational qualifying session ends with some big names down the order: 2018 Champion Jorge Martin (Del Conca Gresini Moto3) starts P13, with teammate Fabio Di Giannantonio P15 and Enea Bastianini (Leopard Racing) sandwiched between the two in P14.